Hollaback is a project to address street (sexual) harassment in our communities. The Hollaback! Korea website will launch November 27! 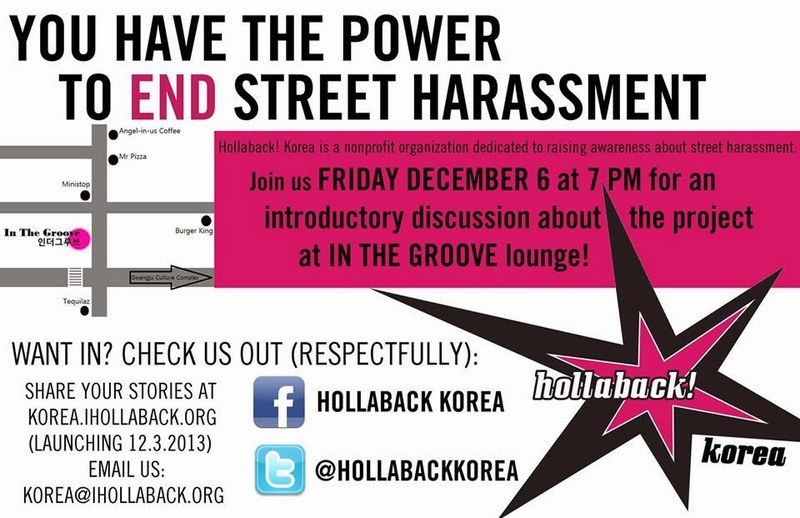 Help us spread the word about the project as we start a new chapter of Hollaback in Korea. We will hold an introductory discussion about the issue of street harassment, Hollaback as an international nonprofit, and our goals for HB Korea.